When it comes to aiyu (Ficus pumila var. awkeotsang), a kind of plant only native to Taiwan and famous of its fruits of which the popular aiyu jelly is made, most people would immediately think of Cou people in Ali Mt., where an abundance of aiyu trees are cultivated and harvested. But do you know, aiyu used to be a dessert of the Plain Indigenous peoples in Southern Taiwan in the 19th century and even some foreign traveler fancied it a lot! Aiyu, be it the magic jelly of Siraya! In 1871, John Thomson, the famous Scottish photographer, came to Southern Taiwan and visited various local Sirayan or Taivoan communities, where the friendly Plain Indigenous people treated him a kind of “magic jelly”! What kind of magic have these indigenous people cast and transformed the tiny seeds in the cold water into this delicious amber jelly! — The “magic jelly” of the Plain Indigenous people actually is the jelly of aiyu! This is why some say the name of aiyu in Taiwanese language, òr(h)-ghiŏr, is a loanword from some Plain Indigenous languages. Later, Tomitaro Makino (牧野 富太郎), Father of Japanese Botany, came to Southern Taiwan and found aiyu, and announced that it was a new specie, which is only found in Taiwan in the world! Aiyu, be it the sweet girl of Taiwanese! So, was the jelly of aiyu invented by the Plain Indigenous peoples? We do not know. 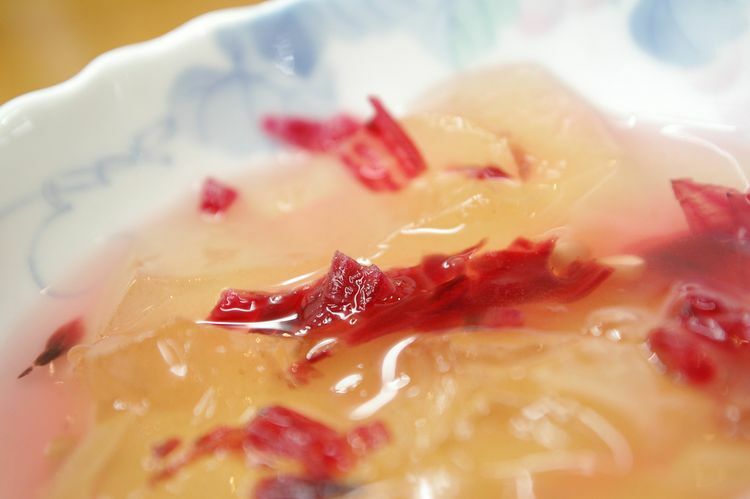 But according to an early record by a Chinese historian, the jelly of aiyu was found and made by a Chinese businessman as early as in 1821: In 1821, a Chinese businessman came to Jiayi, Taiwan, and found that aiyu’s seeds could make jelly in cold water. He then had his 15-year-old daughter Aiyu sell the jellies, and so the jellies became popular soon which everybody started to call them Aiyu! 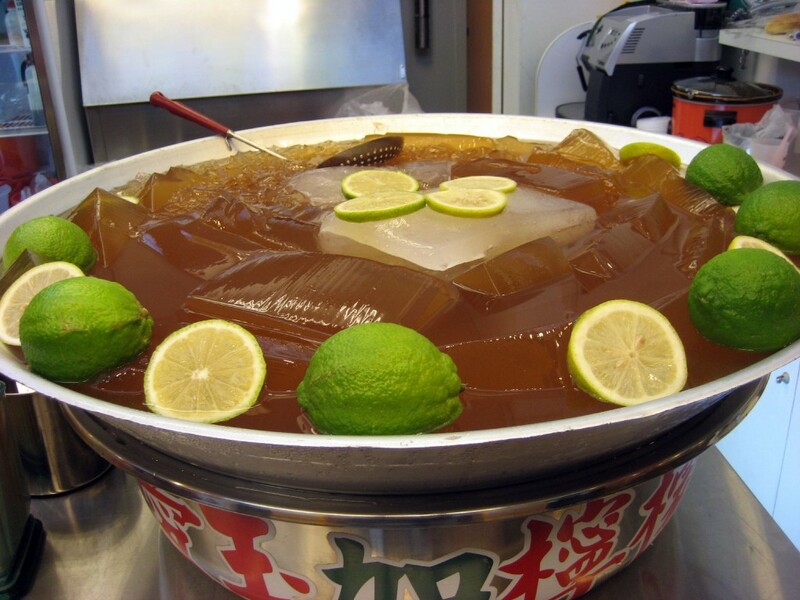 Therefore the fruit jelly only found in Taiwan becomes one of the most popular desserts here — “awkeotsang” in the end of the scientific name of aiyu, Ficus pumila var. awkeotsang, is actually derived from its Taiwanese name òr(h)-ghiŏr! Aiyu, be it the mysterious gold of Cou! Wild aiyu used to be common in Taiwan.According to the Taiwanese government, the yield of aiyu used to reach 120 thousands kilograms in the 1980s, when people could always see tons of aiyu fruits in the populous shopping street Dihua St. in Taipei City; the Taiwanese poet Xi Mu-Rong even called the tons of aiyu as “tons of mineral deposits”! However, the yield of wild aiyu shrank as a result of the rampant deforestation around Taiwan, and the wild aiyu could since then be found in high mountains where the tall trees are still abundant and healthy. 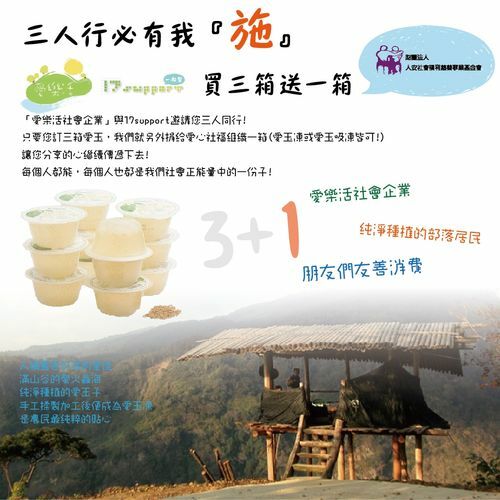 In 1987, Taiwanese government would like to persuade Taiwanese indigenous people into growing aiyu, and so brought them some species of aiyu that can be cultivated and made jelly easily, especially to the Cou people living in Ali Mt. Since then, the harvest of aiyu becomes an important task for the Cou people, supporting them to raise and feed their whole families. Aiyu can bring money, but, at the same time, it has a mysterious aspect, too. In Cou, aiyu is called skikiya, and “to harvest aiyu” is poezi ‘e skikiya. According to some indigenous people, there used to be many Cou people getting lost when harvesting aiyu in mountains decades ago; some were even found dead mysteriously, making the fruits and the jellies more mysterious for many. No matter aiyu is the magic jelly of Siraya, the sweet girl of Taiwanese, or the mysterious gold of Cou, do you get deeper impression of it? Try some aiyu jelly next time when you visit Taiwan, you will fall in love with this traditional Taiwanese dessert and get more (delicious) impression of aiyu! Where to eat in indigenous communities? Oh, now I feel so thirsty after talking so much about aiyu, aiyu, aiyu…… Let’s have some sweet and delicious aiyu jelly of Cou communities! All the aiyu jelly products in this program come from Niaucna, the remotest Cou community, where there is blue sky and green mountains and forest that the Cou residents there call their home as “the Blue Community”! There the vines of wild aiyu freely entangle the giant trees of Niaucna and compete to stretch as far to the blue sky of Niaucna. The height of the wild aiyu fruits there could reach 20-30 meters high, and so the Cou farmers there have to climb up to harvest them. Thanks to the Cou people of Niaucna so that we can enjoy the delicious aiyu jelly! This time the two organizations have launched two products of aiyu jelly: “Wild Aiyu Jelly with Lemon and Honey” and “Wild Aiyu Jelly with Fruit Vinegar” — Which one would you like to try? Special Offers only by Sep 30th!